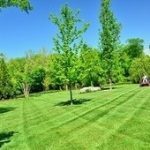 Grass trimming and cutting to give your lawn a clean, smooth and consistent appearance. 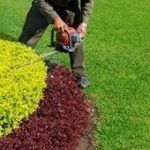 Remove extra growth and smoothing out uneven sides that leaves hedges looking clean and geometric. 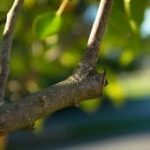 We carefully cut away dead and overgrown limbs, stems, and other types of overgrowth. 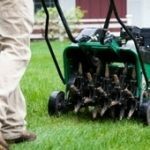 Eliminate plugs of soil by loosening it so oxygen, water, and other nutrients can enter the soil. 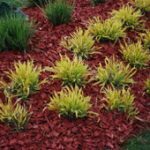 Place materials with the right pH balance around trees, shrubs and flowerbeds to protect against weeds. 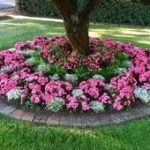 Clearly define the edges of flower beds with specialized tools that adds more curb appeal to your property. May include pruning, grooming, mulching or complete removal. Remove plants, hedges, extra growth, etc. Apply more seeds to lawn to increase and promote growth and density of your lawn. Application of specialized chemicals to prevent weed growth and other invasive species. Spring: Remove dead leaves, plants, branches, and debris. Sharpen edges on beds and curbs that may be littered, etc.